Charlie Chaplin and "The Gold Rush"
John David Borthwick (commonly referred to as J.D.) 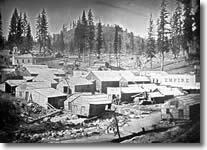 was a nomadic Scotch author and artist who traveled in Gold Rush California from 1851 to 1854. 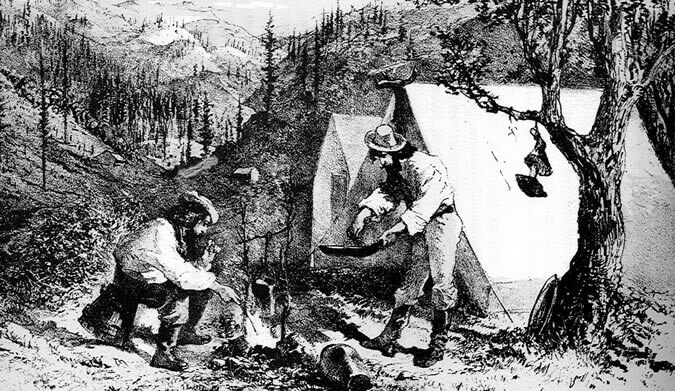 In 1857, he published the reminiscence of his adventures in Three Years in California. 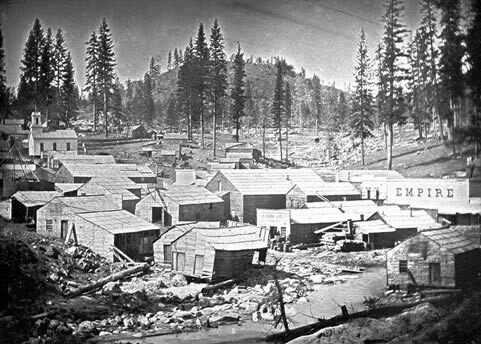 This book, considered one of the most entertaining and accurate depictions of the era, focuses on his experiences in crossing the Isthmus of Panama and on his encounters with gold camps such as Placerville, Foster’s Bar, Downieville, and Carson Hill. Borthwick’s attention to detail and his engaging portrayals of the social life of the early Gold Rush period provide a fascinating insight into those long ago days. 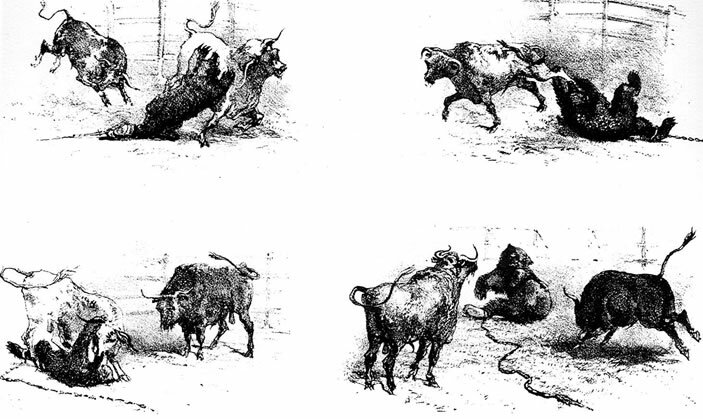 His descriptions of mining techniques, personal interactions, crime, holidays, and entertainment (such as the very popular Bear and Bull fights) offer one of the most complete mosaics of the Age of Gold. 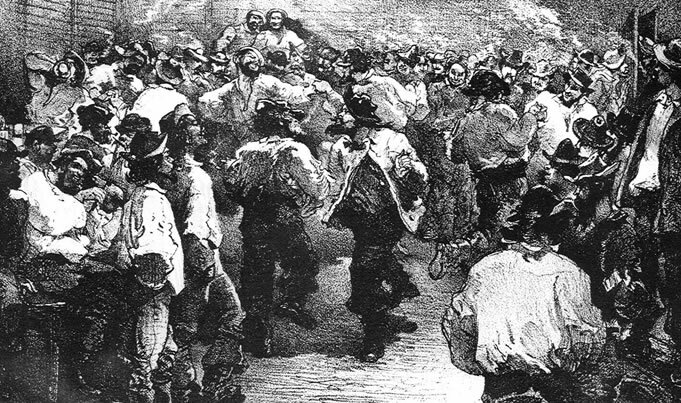 Borthwick illustrated his book with his own lithographs which are considered among the most realistic representations of the time. Some of these illustrations are reproduced here. J.D. 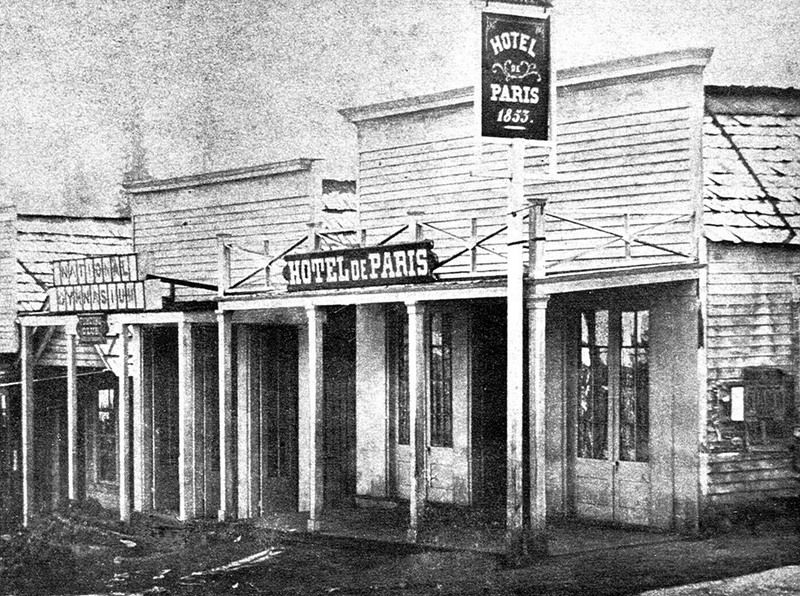 Borthwick dined at the Hotel de Paris (the location of the hotel is now the site of the Bonanza Market on Broad Street). He relished the meal which he described as “the best-got-up thing of the kind I had sat down to for some months.” The feast of roast beef, soup, cabbage, carrots, turnips, and onions, washed down with copious amounts of coffee and cognac, left Borthwick “powerfully refreshed,” as he put it. By any standard it had to be an improvement over the previous night’s horrible dinner. 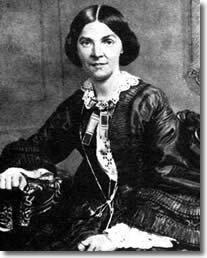 From Borthwick’s descriptions it appears likely that he stayed at the Illinois Boarding House which adjoined one of the first theaters constructed in Nevada City – the Jenny Lind Theater. 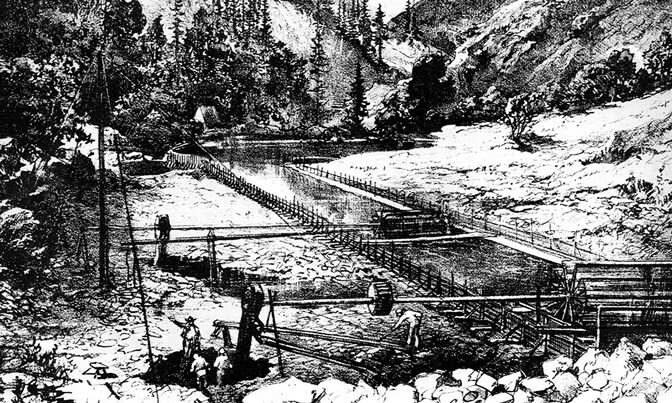 Both establishments were built in the summer of 1851 over Deer Creek … literally. The buildings projected over the creek on cantilevered foundations. 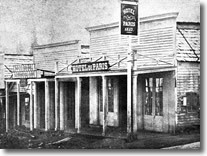 The theater became famous during its brief existence for the appearance of the well-known Chapman family of actors, which featured young Caroline Chapman in leading roles. Caroline became a darling of the miners, and groups of gold seekers would compete to see how loudly they could applaud their favorite young actress. In March 1852, however, the Illinois Boarding House and the Jenny Lind Theater were swept away when a massive flood roared through Deer Creek.